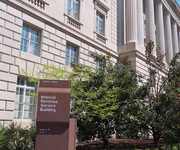 A federal judge on Thursday ordered the IRS to name the specific employees the agency blames for targeting tea party groups for intrusive scrutiny and said the government must prove it has ceased the targeting. 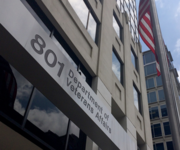 Judge Reggie B. Walton also said the IRS must explain the reasons for the delays for 38 groups that are part of a lawsuit in the District of Columbia, where they are still looking for a full accounting of their treatment. Judicial Watch today announced that it filed a Freedom of Information Act (FOIA) lawsuit against the Internal Revenue Service (IRS) to obtain records relating to the agency’s “preservation and/or retention” of the email records of officials who have left the agency since January 2010. (Judicial Watch v. Internal Revenue Service (No.1:17-cv-00596)). The suit was filed as part of Judicial Watch’s continuing efforts to gain information about the IRS’ targeting of conservative groups and citizens during the Obama administration. 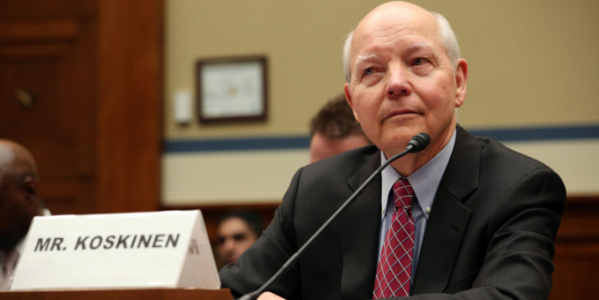 Judicial Watch today released 695 pages of new documents from the Internal Revenue Service (IRS) that contain admissions by IRS officials that the agency used “inappropriate political labels” to screen the tax-exempt applications of conservative organizations. Other records reveal that the IRS was going to require 501(c)(4) nonprofit organizations to restrict their alleged political activities in exchange for “expedited consideration” of their tax-exempt applications. Judicial Watch announced today that the Internal Revenue Service (IRS) reported to a U.S. District Court that it located “an additional 6,924 documents of potentially responsive records” relating to a 2015 Judicial Watch Freedom of Information Act (FOIA) lawsuit about the Obama IRS targeting scandal. The FOIA lawsuit at issue sought records about the IRS selection of individuals and organizations for audits based upon applications requesting non-profit tax status filed by Tea Party and other 501(c)(4) tax-exempt organizations (Judicial Watch v. Internal Revenue Service (No. 1:15-cv-00220)).